On February 8th, my family went and watched the Lego movie. As we were watching the movie, I learned about the Master Builder and people who are like Emmet. I pondered on what I just learned and I can’t help but draw a parallel as to how we learn when we’re growing up. By that I mean, the education method that was used to help us be productive citizens someday. 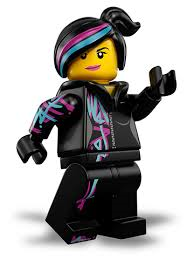 I’ll start by describing Master Builders and how they are different from Emmet. Master Builders are creative people who can create anything from any Lego parts. They use their creativity to create new things without following instructions. In a way, we can say that Master Builders hold no boundaries. They can make anything that they imagine. On the other hand, an Emmet lives life by following instructions. They can create anything thing as long as it comes with an instruction. They strive by being a great follower and can apply the precision needed to create things when an instruction is provided. With instructions everything is possible. As I look back at the educational system, I remembered that I had to memorize stuff after stuff with the purpose of either reciting it back or taking a test. You’re given a grade based on your ability to repeat back what was asked of you to read and remember. The challenge is: the retention of what you learn is rarely good if memorized. The best lessons are those we experience and learn from. Those are the ones that are committed to memory. Later you’re asked to select a topic, but there are often strict guidelines. While I appreciate the value the education system brings and the outcome it produces, I often ponder what else can be done to enhance the overall education experience. Just like applying disruptive thought in technology to create new ideas or solutions, I started to shift my mind set on how I want my children to learn going forward. When my eldest was 2 years old, I decided that I would let her make certain decisions by giving her choices. I continue to change that as she grows up with the intent of letting her expand her horizon and learn to make decisions based on the value and opportunity or possibilities. Each year, I give her more opportunity to own the decision. In the last year, she will select the courses that she likes with the gifted child program. I often ask her why the course piques her interest and what she expects to learn from it. The same decision-making opportunity was also extended to my little one, who is now 8 years old. I often look at the little one as having to grow earlier as she gained a similar experience as the older one. There was one scene on the Lego movie that caught my attention. When Emmet fell into the hole and ended up in a place that he was not familiar with, he indicated that he did not know what to do, because there were no instructions available to guide him. That scene reminds me of the education system that aims to practice memorization versus decision-based learning, which would be more impactful. I believe the future will be better if the children of the next generation are given more creative opportunity to expand their horizon beyond traditional method of teaching. I know that many people who will read this blog will not share my observation. 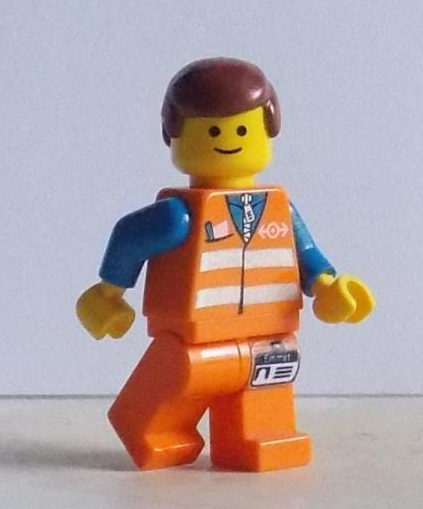 Emmet , or a combination? Let me know your thoughts. By looking at another angle of the equation, we can compare and contrast our experience. Just saw the movie tonight. There were several good lessons (a nice surprise for this mom!) while instructions can be nice and helpful, they also limit our imaginations and creativity. There’s so much more to our imaginations than “just the basics.” Imagination releases possibility. I also appreciate the important message of believing in yourself and your own uniqueness. Everyone’s imagination is different. They’re all valuable in their own way. It was a surprisingly good movie. I, too, agree that our education systems would benefit from being less rigid and standardized. While the intent is good, it does nothing to help them to effectively use the the real power of their brains! The scene in which Emmet did not know what to do is a scary reminder of what it could be if we continue the rigid and standardized method of teaching. That’s why my girls love the gifted child program http://giftedchildsociety.com/, because the program focus on hands on exercise and application of children’s creativity. I love the quote on their site that says, “Within every child’s brain is a mind teeming with ideas and dreams and abilities unrealized” Dr. Ben Carson.